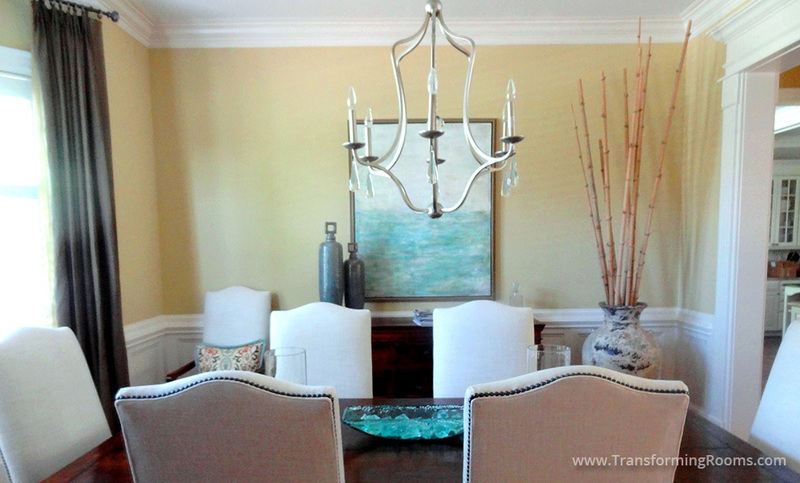 A dining room chandelier and dining chairs completely change the look! Notice we changed the wall paint, added our original art and reupholstered the homeowner's chairs. 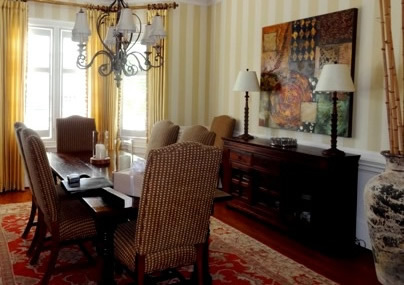 We solved this room's dated look, without replacing the dining table and buffet! Our web site has approximately 100 room makeovers. Check out the before photos on ipads and laptops.